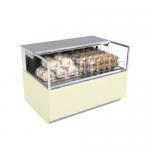 Do you run a bakery or convenience food store? Perhaps an airport café or other similar food service establishment? These types of restaurants, shops and cafés require food display shelves for foods that do not necessarily need to remain heated or cooled. Add these to a product isle as an end cap, or add them to a buffet line and load them with condiments, ready to eat chips, cookies, anything that suits your purpose. 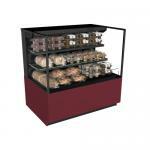 We also offer a wide selection of both heated and refrigerated displays! Browse our selection of non refrigerated stationary floor model bakery display merchandisers ideal for baked products, chips, desserts, fruit and snack items! 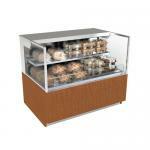 Here you can browse our great collection of countertop pastry displays. 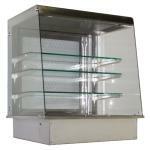 These ambient temperature display cases are available in service and self serve designs.